Is A Lack of Joy A Spiritual Warning Flag? There is a sense in some circles that being joyful is not a part of the Christian life. The tension is between reverence of God and the joyful expression that others may see as drawing attention to oneself. 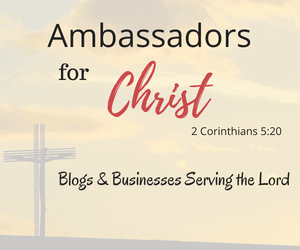 I understand the delicate balance, but I also recognize that if what we do for the Lord does not give us joy and fulfillment how long can we survive the rigors of Christian service. Is there a place for joy in Christian service? George Bernard Shaw said, “This is the true joy in life, the being used for a purpose recognized by yourself as a mighty one: the being thoroughly worn out before you are thrown on the scrap heap, and being a force of nature instead of a feverish selfish little clod of ailments and grievances, complaining that the world will not devote itself to making you happy.” – Jon Johnston, Courage – You Can Stand Strong in the Face of Fear, SP Publications, 1990, p. 171. Take this journey with me. We will take this quote in sections because there is a wealth of wisdom contain it this paragraph. Joy is not something we can internally produce just like grace is not a natural concept to accept because both are birthed outside of our natural sinful human condition. Joy is almost infused in us through the work of the Holy Spirit. We are a people called for a divine purpose, to get the message out to those far from God. The heart of our message has the power to turn cold, unrepentant hearts, alive and ablaze with zeal for God. The good news is God has sent His Son Jesus Christ into the world to announce the forgiveness of sins through His death and resurrection. Jesus confronts the world lost in sin, while also comforting that same world with his offer of forgiveness and everlasting life. Fellow travelers, you have the privilege to be ambassadors of reconciliation. How can this not enliven your heart and give you a reason for celebration? You have been set apart for a holy purpose and sent on a vital life-saving mission. The alternative to embracing Joy. Our other choice in life is to go around miserable and to complain about what a horrible lot life has afflicted upon us. The danger of doing ministry without allowing your joy to shine brightly is the witness it gives to a believing and unbelieving world. Who wants to journey with people who appear not to enjoy the ride? The love we have for God should overflow to people around us in our preaching, teaching, and service. That overflow is a joy. The psalmist describes it this way, “Then I will go to the altar of God, to God my exceeding joy, and I will praise you with the lyre, O God, my God.” Psalm 43:4. It is possible to lead with a quiet, reverent sense of awe at the wonders of God while also having a heart filled with exceeding joy over the love and grace of our Lord and Savior. Ministry is not about us, it is always about Jesus. Since ministry is about Jesus, understand the awesomeness of God while rejoicing in the joy of our salvation. So good! One quote that really transformed my perspective in this one “people think they’re here to live FOR God, when they’re here to live WITH God.” God is complete and perfect, He doesn’t “need” us, He saved us because Loved us and wants to love in us and through us! That’s so important! Such a great thought, thanks for writing this, I’ll be sure to follow this blog to see future posts, and I would adore to have someone like you read anything I wrote! God bless! Reblogged this on Simply Etta . Amen!! Like the person who has child like faith – our joy should pour out of us overflowing. Life is difficult but with Christ we are never walking alone.